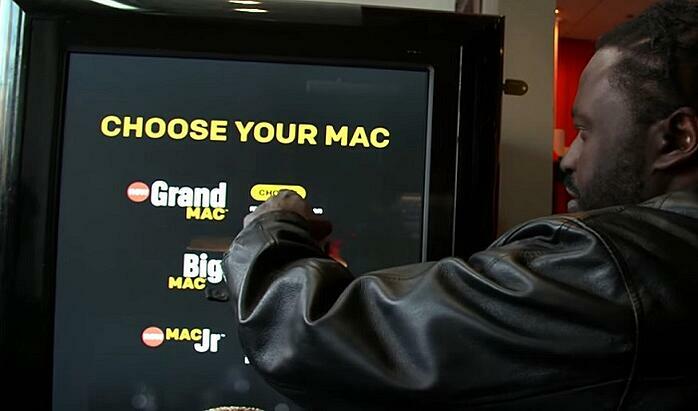 Turning reality on its head, McDonald’s recently surprised and delighted workers, students and tourists in Boston with a free Big Mac dispensing ATM for one lunch time only. Over the course of three hours in late January, passersby entered their Twitter handles or email addresses into the touchscreen machine in exchange for the iconic burger. The burgers were then supplied, fresh-from-the-grill, at the chain's local restaurant at Kenmore Square. The clever part of this experiential marketing campaign was that it enabled McDonald’s to post a promotional tweet from the participant’s Twitter account, giving the brand control over its messaging and increasing the campaign’s reach on social media. A great data capture exercise, it also meant McDonald’s could retain each person’s contact details for future marketing communication. The fun and creative campaign created a huge buzz online and attracted large crowds near the McDonald’s restaurant, which added to the spectacle and increased talkability around the activation. Giving something away for free is always guaranteed to be well received by your audience, but doing it in a surprising and unexpected way is what elevates an activity and drastically increases its reach. After all, no-one expects a free lunch, but we’re all delighted to receive one! Technology continues to fascinate and attract consumers, so automated machines that deliver nice treats are a great way to capture the attention of passersby. This latest stunt from McDonald’s reminds us of other ingenious vending machine inspired experiential campaigns, like Walker’s Twitter activated vending machine or Nike’s secret vending machine. Both brands also used Twitter to ensure the campaign’s success and wider reach.